Sometimes I rant, sometimes I praise. Today’s a praise day. I already had a topic for today, but then I saw this article on how to have your carbs while diabetic and had to throw it in. I always get nervous when I seen anything that looks like “how to have your cake and eat it too”, but this is an excellent article. I wish I’d written it. Great graphics as well. If you aren’t diabetic, you should still eat like you are. None of us need all that sugar. Sugar and other simple carbs in mass quantities is what got us here in the first place. The article has a great graphic showing 1/2 your plate being a non starchy vegetable, and the other two quarters divided between fibrous starches and low-fat protein. Yeah, yea, woot woo. To top it off, they finish with recipes, which is where I fall down, because most people would not eat what I like. They aren’t perfect, but the flavor and texture were spot on. 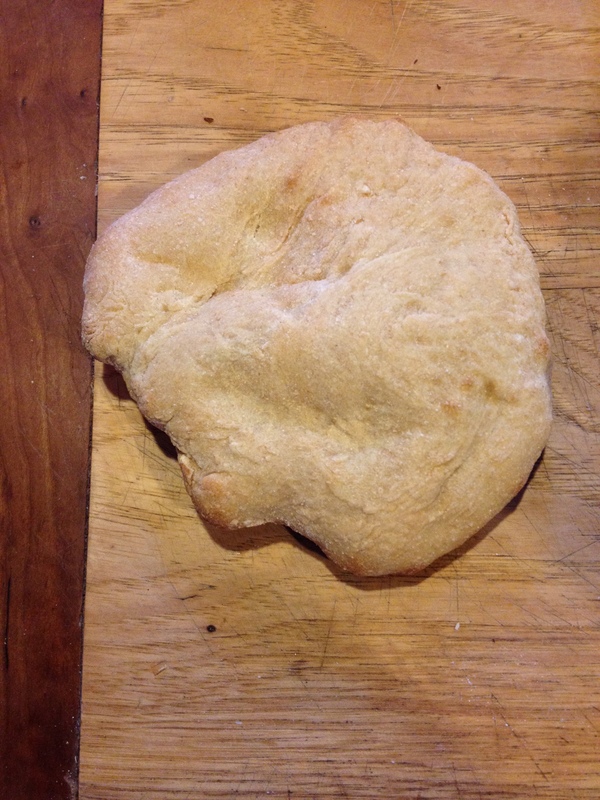 I used “Peppy’s Pita Bread” recipe on allrecipies.com. I think this has shown me where my breads have fallen short. I’ve been too afraid of over baking, and I think being thoroughly baked is the key to really good bread. I let you know as I try my hypothosis. Before we leave the topic of yogurt, I did try two experiments lately. First, I tried just using the whey to make the next batch of yogurt. It’s difficult to have the store-bought yogurt on hand to make the next batch, since I use it to make yogurt. It tends to go bad before I get to it. Plus, it rankles me to have to buy the very product I’m making. So, I tried freezing the store-bought, and only scraping enough off to inoculate the milk, but that was a royal pain. If I want to try that again, I’ll divide it in an ice-cube tray and freeze it that way. However, I took a small batch of milk and just added the whey I had been storing in the fridge, and it worked! 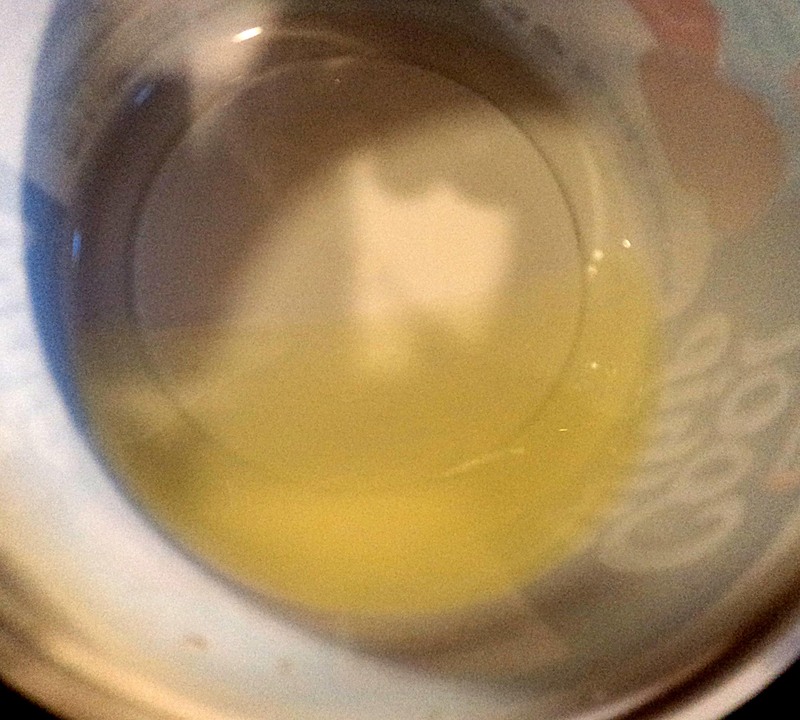 The only down side was that the yogurt was more watery, since adding whey is adding water. For whatever reason, whey doesn’t get moldy like yogurt does, and I always have plenty on hand. I thawed the rest of the yogurt I had frozen for that experiment, and found that it had separated from being frozen, but if I drained the whey off it was still perfectly good. If you are wondering why I am so yogurt crazy, I’m not, in that I don’t eat lots of it, but I now consider it an essential staple to have in the house. It makes a wonderful replacement to sour cream, cream cheese, mayonnaise, and, of course, is great for all its traditional uses. I have drained it enough to make a cream cheese type cheese. My next experiment will be to try to go further and make a fresh cheese out of it by draining it further. For a snack today, I’m going to make a taco dip variation by putting a layer of humus, a layer of drained yogurt, salsa and cheddar. I have nothing against using beans to make the dip, I’m just trying to empty my cupboards, so it was humus this week. I also used the drained yogurt in tuna salad, along with some mayo and mustard. I just think if you can replace things that are not all that good for you with things that are, and still find them enjoyable, that is a win-win-win situation. You do need healthy fats, but as Myfitnesspal keeps reminding me, I’m getting plenty without doing a lot of mayo and sour cream. To top it off, I’m not replacing them with ersatz food, which is one of my pet peeves. 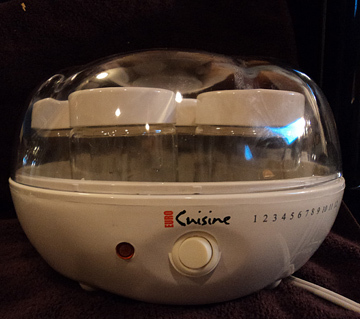 While you don’t need one to make yogurt, I have to say it makes the whole process easy and fool proof. From the booklet that came with it, I learned a few things to make better yogurt. First, boil the milk. For some reason, this makes the yogurt thicker. 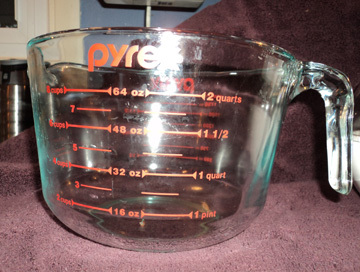 If you have a large pyrex measuring cup- It will make doing so very easy, add the milk and nuke for about 10 minutes, till the milk climbs up the sides. I also add some powdered milk, to increase the nutritional content. Let it cool to 115-120, I use my meat thermometer to test, add some commercial yogurt, stir, and put in clean jars, either the ones from the yogurt maker or you can use canning jars and then put in a cooler with hot water, or in your oven, with the pilot light on. You just need some way to keep it very warm for 7-12 hours. Can we all get past the romance with greek yogurt? It is simply yogurt with the whey drained off. No additional protein is added to it, it just has less water. You can do this yourself, either with store bought or your own homemade. With your own, you need a paper towel to prevent the yogurt from going through the holes. This is how much whey comes off. Greek yogurt is more expensive, since it has less water, it takes more milk to make the same 8 ounces. Making your own would definitely be advantageous. The yogurt can then be used to make healthier alternatives for many higher fat dairy products. You can use it in place of sour cream. I am now experimenting with making yogurt cheese, to replace cream cheese. 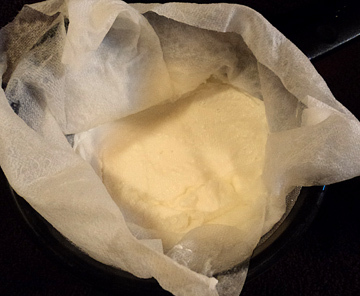 To make yogurt cheese, you fold the paper towel over the top, and put some weight on it, to squeeze even more liquid out. If you are feeling very thrifty, you can save the whey and use it in your bread recipes, in place of some of the water. Why does have some protein, but it is mostly water. This is not a time saving activity. While it only takes about 15 minutes to prepare, you do have to wait for it to cool off. I would just let it ferment overnight, putting it in the fridge in the morning. It isn’t difficult, but I can understand if people don’t want to spend the time.